With the heat that we have experienced recently, it is safe to assert that we have entered the tough days of the summer season. 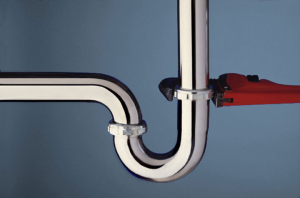 As property owners, the very last thing we care to consider throughout the lazy days of summertime is plumbing issues. However, with the children home from school and so many guests to entertain at your home, you might find some summer plumbing issues happening more often. In the subsequent paragraphs, we have mentioned the 5 most common summer plumbing problems that you ought to bear in mind to make sure that your summer does not turn into a headache for you. You need to be extra careful of exactly how you get rid of food waste in case you like to have some barbecues this particular summer. You should be cautious with what you are putting down the in-sink junk disposal especially if you’re getting rid of hard fruit and veggies, for example, corn or watermelon. Most of these food items can result in drain congestion or even damage the blades in the disposal unit which can also cause an unpleasant smell. Stay away from pouring the filthy grease down the drain following the grilling because used cooking oils may also be bad for junk disposal systems. Additionally, it is a smart idea to allow cold water to run through the rubbish disposal for 30 seconds approximately, before and after you make use of it to get rid of any remaining pieces of food. With the air getting heated up in the afternoons several areas are susceptible to summer rains or thunderstorms. Too much rain could get into the sewer pipes by means of cracks and cause the sewer line to back up. You could also encounter trouble in case tree roots spread beneath the ground and break the pipes. Look out for indications such as water backing up into the toilet drain and get in touch with a plumber right away. In case the damage gets large enough it may be time to replace the sewer line. Throughout the summer season, your washer could get more of a workout, particularly if you have kids on school vacations. Spending time at the seaside or the pool leads to more laundry to clean, and this could put extra pressure on the washing machine. If at all possible, stay at home whilst the device is running such that you may stop the cycle immediately and contact a specialist in case a problem occurs. The machine must also be shifted from the wall slightly in order to prevent the hose from kinking. Make sure to check out and clean the heads prior to the summer months in case you have lawn/garden sprinklers. Be sure to mow your lawn with the sprinkler heads lowered so that you can avert any damage. In the summer time, your children use the toilet more frequently throughout the day. Teach the kids to utilize only a required amount of toilet paper and also to flush only when they use the bathroom. This entry was posted in Plumbing Services and tagged dallas plumbing services, Plumbing by Whit Kinser. Bookmark the permalink.